The sad news: In discussions with a number of Universities, the SAMLA Faculty has come to experience a harsh reality – the wheels of academia turn slowly. The nett effect of our most recent discussions since November 2016 has been that it will not be possible, as we had expected in November 2016, to commence the first SAMLA Certificate Course “Foundations of Medico-Legal Practice” as a joint venture with a university in April 2017. We have reached an advanced stage of discussion with Prof Millard of the University of Johannesburg, and have reached important agreements iro the practicalities of presenting the lectures simultaneously in 5 venues (Gauteng – Cape Town – Port Elizabeth – Durban – Bloemfontein), all connected by high quality live streaming bi-directional video-conferencing. However, we have been informed that further necessary processes in the university will have the effect that the course cannot commence before January 2018. The SAMLA Faculty met to consider a recommendation to present a pilot project in 2017, as a standalone SAMLA series of lectures without any university participation. The Faculty found that, as much as this would be feasible, such a pilot project would be limited by financial constraints to a single venue, thereby excluding members in other provinces, and would be limited for professional reasons to senior practitioners, thereby excluding the majority of SAMLA members who have shown a keen interest in attending the course. 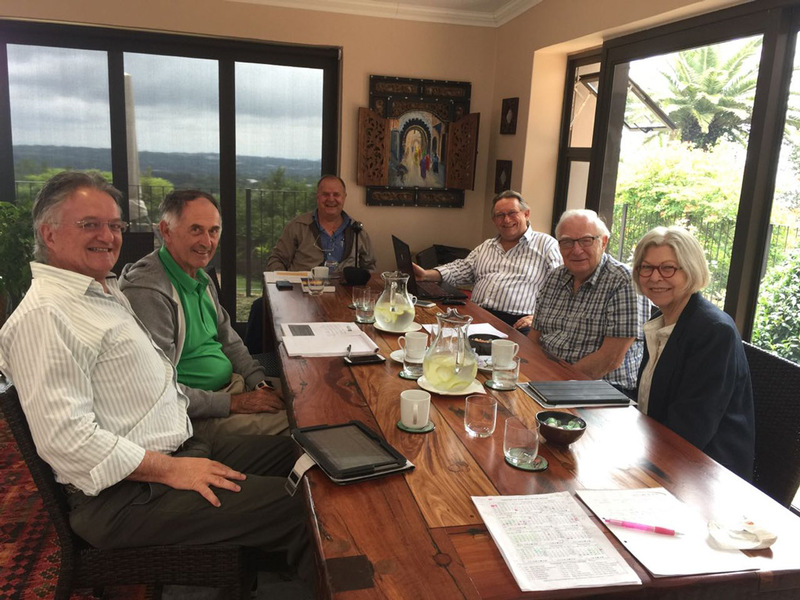 At the meeting a decision was taken to await participation with the University of Johannesburg, in anticipation of concluding a firm agreement at an affordable price, i.e. to expect commencement of the course in January 2018. The good news: Faculty, together with Prof Millard of UJ, now plans to host a major seminar on 13 May 2017, simultaneously in Gauteng, Cape Town, Port Elizabeth, Durban and Bloemfontein, as an introduction to the course and dress rehearsal to test the live streaming bi-directional video-conferencing facilities to be used in the course in 2018. This full day event will be packed with educational highlights and excerpts from the course. In addition to these plans of SAMLA Faculty, educational events such as seminars and mock trials will be presented in each branch (Gauteng – Western Cape – KZN – Eastern Cape and Free State) during 2017 by the local SAMLA Branch Committees. Further notices from Faculty will follow in relation to the seminar in May as well as developments towards January 2018. Notices in relation to branch events will be sent out by SAMLA Branch Committees. For any questions or suggestions please contact Christa Koelewyn, info@samla.org.za or any member of the SAMLA Faculty, Exco or Branch Committees. Magnificent and appropriate lectures have already been written and peer reviewed. We are all dressed up and in the starting blocks waiting for the gun.